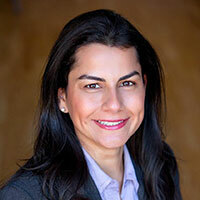 Nanette Diaz Barragán is an American attorney and politician from the state of California who is a member to the United States House of Representatives for California’s 44th district. She is a member of the Democratic Party. She served as the first Latina ever elected to the Hermosa Beach City Council. Barragán was born in Harbor City, California and grew up the youngest of eleven siblings, raised by immigrants from Mexico in Carson and the surrounding area, where she attended Stephen White Junior High School. She earned her Bachelor of Arts in Political Science with a minor in Public Policy at the University of California, Los Angeles in 2000 and her Juris Doctor degree in 2005 at the University of Southern California, where she served on the Interdisciplinary Law Journal. Barragán ran for Hermosa Beach City Council where she stood up to an oil company and worked to stop its proposal to drill 34 oil and water injection wells in Hermosa Beach and out into the Santa Monica Bay. She also ran to end waste and mismanagement at City Hall and repave streets. Barragán beat six candidates and was the top vote getter. She became the first Latina ever elected and the first woman in ten years. Barragán officially announced her candidacy for California’s 44th congressional district on Equal Pay Day in mid April 2015. The seat is being vacated by Congresswoman Janice Hahn. In the November 8 general election, Barragán defeated state senator Isadore Hall III to succeed Hahn.